SYDNEY MINES — When the Barra MacNeils perform at St. Andrew’s Presbyterian Church here on Aug. 3, it will be a major milestone for the award-winning band. 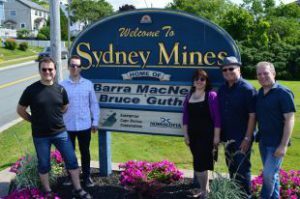 The Barra MacNeils will perform in their hometown of Sydney Mines on Aug. 3 at St. Andrew’s Presbyterian Church celebrating 30 years of music. Shown from left are Stewart, Boyd, Lucy, Kyle and Sheumas MacNeil.